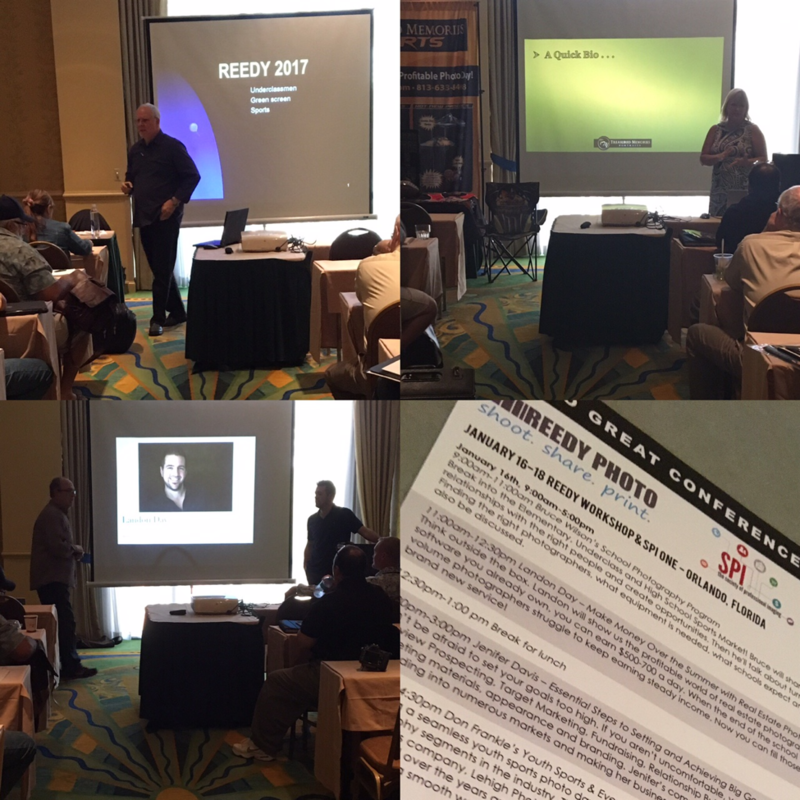 Two years ago we decided to host an annual workshop for our existing customers, and invite any new customers inquiring about what Reedy has to offer. Our first workshop, in February 2016, was held in Indian Rocks Beach, FL… about 30 minutes from our facility. We had roughly 35 attendees and it was a memorable, terrific event. Our small group generated a lot of great ideas we implemented that year. This year we decided to host our workshop the day before SPI (myspionline.com). We figured our attendees would love to attend 2 events in the same place for the same cost. I’ve been arranging and hosting workshops for 9 years now. One of the main struggles I have is determining which topics would be most beneficial in the least amount of time. Sales is always a desired topic. But sales webinars are a dime a dozen on the great interwebs. So this year I decided to break it down into demographic marketing. While we still had presenters discussing the different segments of volume photography, I personally created a presentation on Marketing to Millennials. I did roughly 6 months of market research, I read many books, articles and watched other presentations on this topic so I could put together a meaningful presentation and get the attendee’s wheels turning. See, I didn’t want to TELL people what to do or think, I wanted to inspire them. 6 months prior to our workshop I decided the best way to teach people to step out of their comfort zone, was to do it myself. So I started guitar lessons. Most speakers in our industry are photographers. They open their presentation with a slide show of images and music to connect to their audience. Since I am not a photographer, I decided to learn to play the guitar and sync a slideshow of the books and inspiring quotes. Well, that turned into me actually singing and playing a song with NO slideshow and quotes. I was scared to death. Not only was this my first presentation, I decided to get even bolder and expose myself with this new endeavor I had just started in front of a room full of people. I performed Nickleback’s song “What Are You Waiting For”. It was… OK. Not terrible, not great. But I did get a standing ovation for my efforts, and the rest of the presentation was a piece of cake. We had a lot better presenters than myself… Bruce Wilson did an amazing segment on breaking into the School Photography market, and also gave some great information on dominating high school sports by offering top notch creative photography. Jenifer Davis shared her success story of growing a volume youth sports photography company in just a few years and setting and obtaining goals. Don Frankle broke down the step-by-step process of scheduling and photographing youth sports and tournaments. And for something completely out-of-the-box, Landon Day shared with us his real estate photography endeavor. He taught us what people are searching for and how to make real money doing real estate photography, which I felt was a great opportunity for volume photographers to step outside of their comfort zone and add dynamic to their existing business. Gina Barca shared her expertise on social media marketing and gave us all some very valuable information to take home and study. After the Reedy Workshop came to an end… SPI started up the same day. I met so many new inspiring photographers and videographers! Melanie Anderson, Michael Kozlowski, Matt Meiers, Pepito, Michael Mowbray, and so many more! You guys are just the highlights! SPI boasts a tight network of industry leaders who support each other. The small expo and limited class schedule gave us time to get to know every person there, meet every vendor and spend quality time with each other. The integrity of the SPI organization still holds true today as it did 20 years ago, just on a much smaller scale.